Alisah Bonaobra sings Frozen’s ‘Let It Go’. Team Apl’s Alisah Bonaobra, Mackie Cao, and Daryl Ong performed their best to keep a spot on the The Voice if the Philippines Season 2 and be part of the Top 8 but only two among them will be given the chance to stay on February 14, 2015. 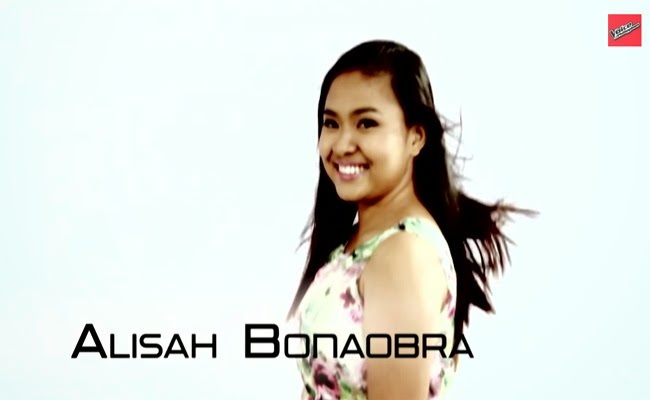 Alisah Bonaobra shared that her mom had always told her not to be shy and not to give up. She said that selling in the sidewalk had been not easy and her mom had always been there. She was told that she has no right in the music industry but her mother inspired her not to let go of her dreams and keep on working hard for her goals. Alisah made it seem that the song was easy to sing though it was not. She had been and inspiration to many young people. Apl said that she seemed to have flown aways and she had proven to be the future star. He had expressed how proud he is to be her coach. On February 7, Alisah Bonaobra and Daryl Ong had received most of the votes of the viewers while Apl had chosen to save Mackie Cao. With the new rules, the voting lines are only open for 5 minutes during the commercial break after all three performances. The results will be shown before the end of the show. Who will you root and vote for? Who will stay this time?